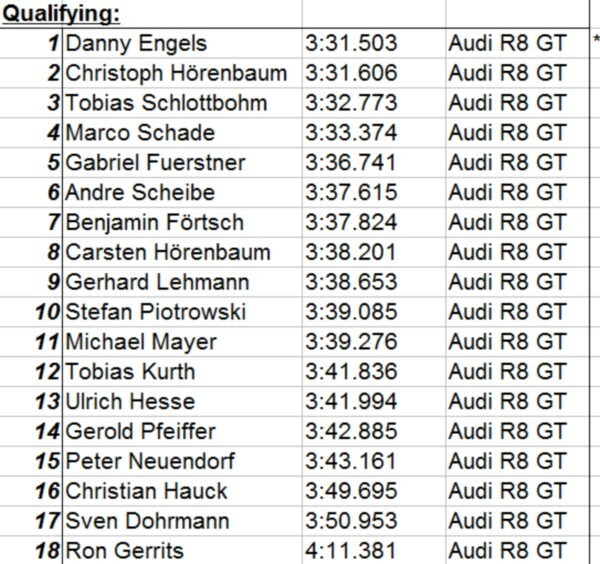 Only five of 18 participants even managed to see the checked flag twice and the chaos already begun shortly after the qualifying. Danny 'HuskY' Engels who came up on Pole Position dropped out of the race with a technical failure before it even started. Christoph 'DreaF' H&ouml;renbaum benefited by HuskYs bad luck and replaced his first position. 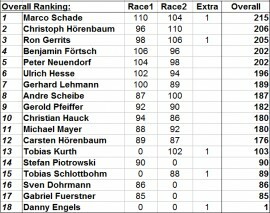 Marco 'Jay' Schade started on third place in Easter-Monday's starting grid. 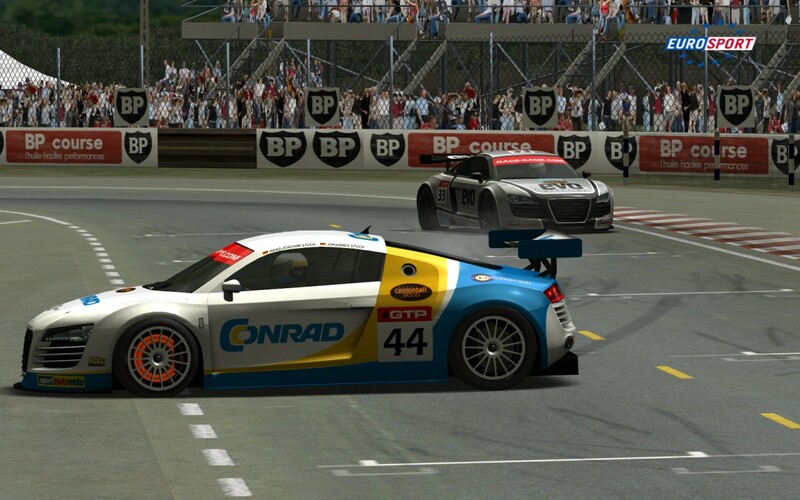 It was Tobias Schottbohm from Rittersport Racing (RS Racing) who took the lead after the first corners of the 45 minutes race. Unfortunately the mess continued and Tobias wasn't untroubled either. He got disqualified after missing a legal pit stop during the open 'pit stop window', which means every driver had to make a required pit stop in a specified time period. 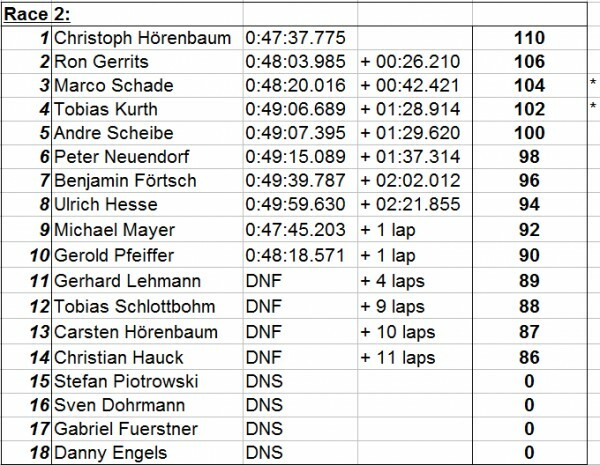 Lucky for SK Racing - Marco Schade and Christoph Hörenbaum were in first and second place leading the race with an suitable gap after Schlottbohm's disqualification. Other racers like spdo Member and V-WTCC Finalist Carsten Hörenbaum crashed their car on Le Mans legendary 1977 racing circuit and had to quit the first race. In the final lap though Ron Gerrits and Christoph Hörenbaum were struck by an unfortunate situation. 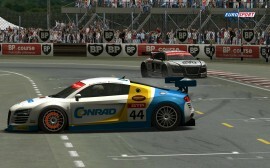 After 45 minutes racing both ran out of fuel - they were ranked sixth and seventh place afterwards. 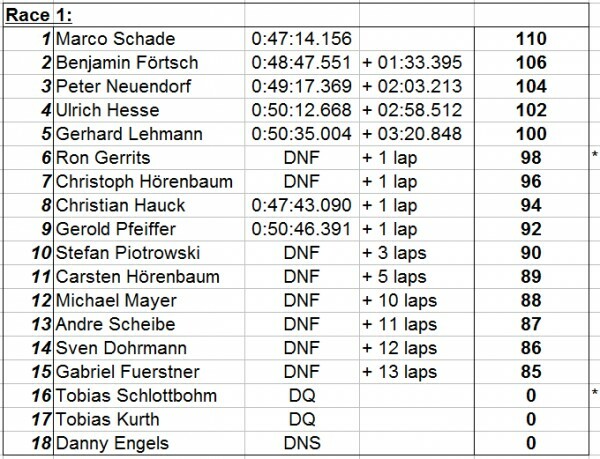 Marco 'Jay' Schade won a weird first heat in Le Mans with 1minute and 33seconds lead despite Marco having some minor trouble, too (2nd photo). In the end more than half of the racers didn't finish the first race. SK Racer Danny Engels, pod-pilot Stefan Piotrowski, HP-Racing-Driver Sven Dohrmann and real life Racingteam Frensch-ePower-Member Gabriel Fürstner had to pass the second race before the grid was lined up. 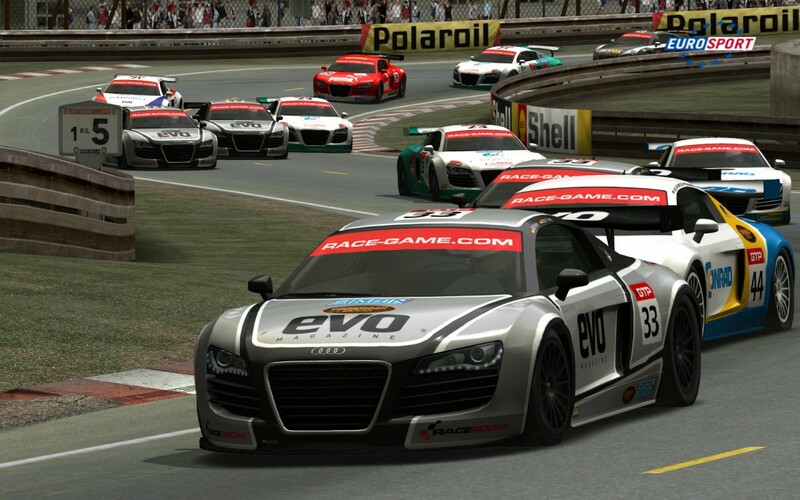 For the second race the Top8 Finishers of the first race were turned around in the starting grid. 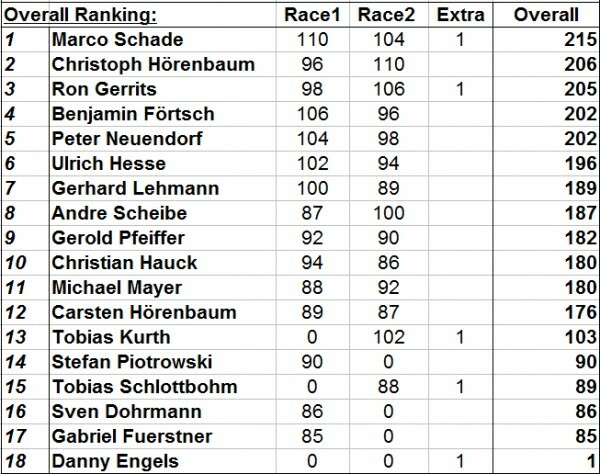 Marco 'Jay' Schade started on 8th position whereas Christoph 'DreaF' Hörenbaum on 2nd position due to his fuel calculation mistake. But exactly that circumstance helped him to control the entire second race. He took over the lead quite early. 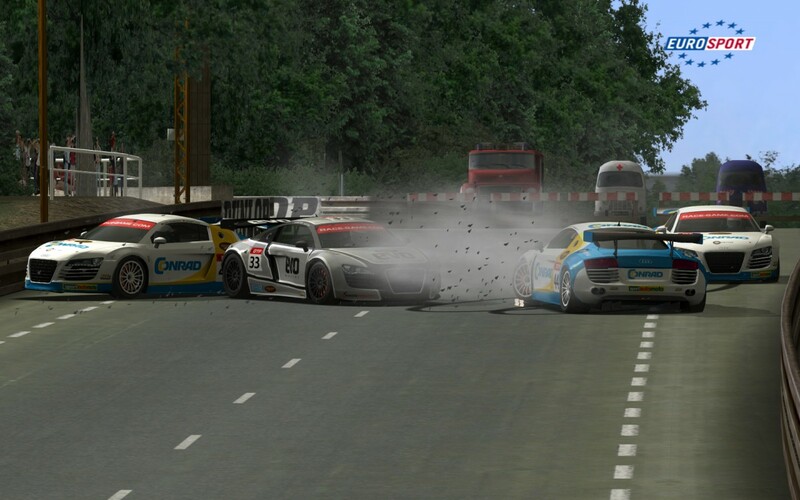 Unlike the rest of the field: tough and hard racing claims victims and one of them was Marco Schade, who lost his front splitter in a incident on the long Le Mans straight (Photo 3). In the end though he still managed to finish in third place and scored the most points in total. 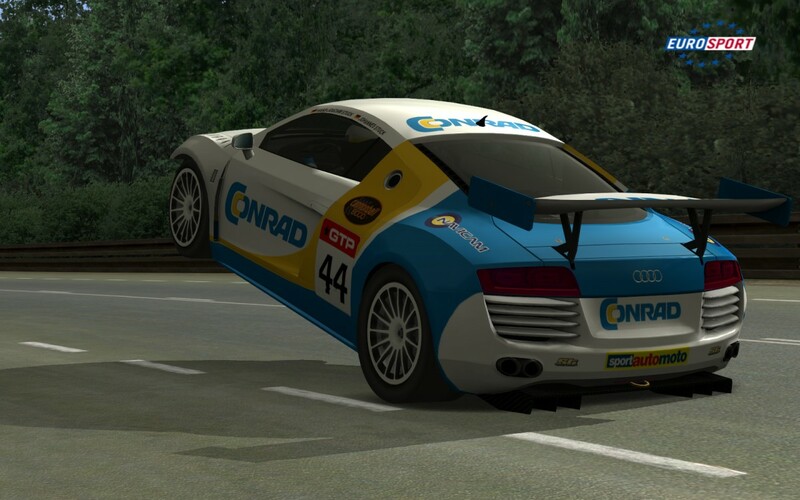 SK Gamings Racer DreaF, who won the 2nd LeMans race just gained enough points to be Le Mans runner-up and silver medalist. Extra points were given for Pole Position, Fastest Race Lap times and Highest Climber so that Ron Gerrits completes the podium. It is the first event success for Marco 'Jay' Schade in GTR Evolution, after he dominated most Live for Speed events in 2008 and 2009. 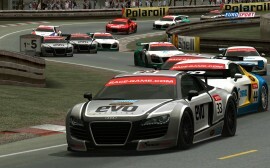 The Virtual Touring Car Championship Round Six in Brands Hatch (Great Britain) is scheduled on Monday 27th April 2009. Multi-BC is going to broadcast the event LIVE!